Home » Health » What is your Goal? Maybe it’s easiest to start with my goal, or rather my journey. I am striving to be myself, it is as simple as that. So my goal in my Tai Chi, Qigong and meditation training, practice and play is to travel the journey to be the real me. And when I turn the idea on its’ head, it is actually Tai Chi, Qigong and meditation that give me the space and shows me who the real me is, and how to live more as my natural self. I don’t have a particular goal in mind with my training, I love the journey! For me, my baseline is different from the average person, for those who want to read more on that, here’s my personal bio. Each day is different and brings different challenges. I follow the ebb and flow of the day, as kindly as I can. I balance teaching, running a business and my personal life with movement, stillness, creativity and rest. This for me at this moment is how I live as my natural self. Some (most) days I want to do more Tai Chi or Qigong practice than I am physically able to do, these moments are difficult. Do I push myself over my limit and find the consequences for days to come, or do I stay so far under my limit that I also find consequences for days to come, which have an impact on every area of life, equalling imbalance. So, in these moments I take myself back to my original goal in my Tai Chi, Qigong and meditation training; ‘I am striving to be me’. What can I do today that is the kindest expression of the natural me? The answer today, is that I look after my wellbeing as well I can and that means compromise. It will take me a much longer journey to progress and ‘achieve’ in my Tai Chi and Qigong training, longer than my ‘ego brain’ would like. Though, I like the journey on the slow boat, I get to see the scenery and I always do love a good landscape. Everyone’s goal is different, that is the beauty of training Tai Chi, Qigong and meditation, as it brings together people from all walks of life, of all ages, all health ranges and reasons for joining. We can all train and celebrate our love of the Classical Chinese arts, with grace and non-judgement. My 90 year old student’s goal is fall prevention, mobility and company. He is alone except for his carers, and I love his company, so we chat about life over the movements. He jokes about dropping down dead during his lesson, and I always say that doesn’t look good for business. I cherish those moments. His needs are far different from my intermediate students who train twice or more a week, with great effort and diligence. The goal of my student who lives with Parkinson’s disease is for a greater quality of life from physical balance to motor control, and he practices twice a day everyday, he too enjoys the human contact and support. It’s not always about the training. Some of my students are in recovery from brain injury, heart failure, cancer or a bad fall. Some live with invisible illnesses like fibromyalgia and chronic fatigue, and cannot manage the whole class. Some of my students have said they love the social aspect and relaxed nature of the classes, they laugh and say it probably doesn’t matter what they are learning in class, they simply do and enjoy. A few students are as nerdy as me and love the complexity of the Tai Chi form, and ask me really good questions. Many students come to class as a way to manage SAD, depression and anxiety. Many students simply come and go. Our Tai Chi and Qigong community welcomes everyone, as we train, we expand and grow ourselves inside and out. We work towards a calm mind, open heart and resilient bodies. As an instructor I don’t need to know your goal, just join us in doing and enjoying. I am however more than happy to share mine and hope some of you find common ground in this article. It is known that with one hour a week of training, that you cannot expect great benefit from your practice. This is correct, Tai Chi and Qigong are not quick fixes for health and wellbeing, it takes effort, time, accuracy, awareness and diligence to reach considerable benefit. This aspect is often missed when talking about Tai Chi and Qigong for health. That said, I believe there can always be balance, between your life, your personal actions and the benefits. Some movement or some meditation however little is better than none. I guess it again depends on your goal and needs of that very moment in time, nothing is finite. You have the freedom to be naturally you. Whether training or playing Tai Chi and Qigong one hour a week, or several, it doesn’t really matter as all goals and journeys are welcome. There is room for us all. One quote that sticks in my mind from Erica Cooke is “I am not interested in competing with anyone, I hope we all make it”. I can extend this to not competing with myself, not comparing myself to anyone and not judging anyone on their journey. From this, I am naturally me. Instructor Nicola is passionate about sharing Chen style Tai Chi with her students. 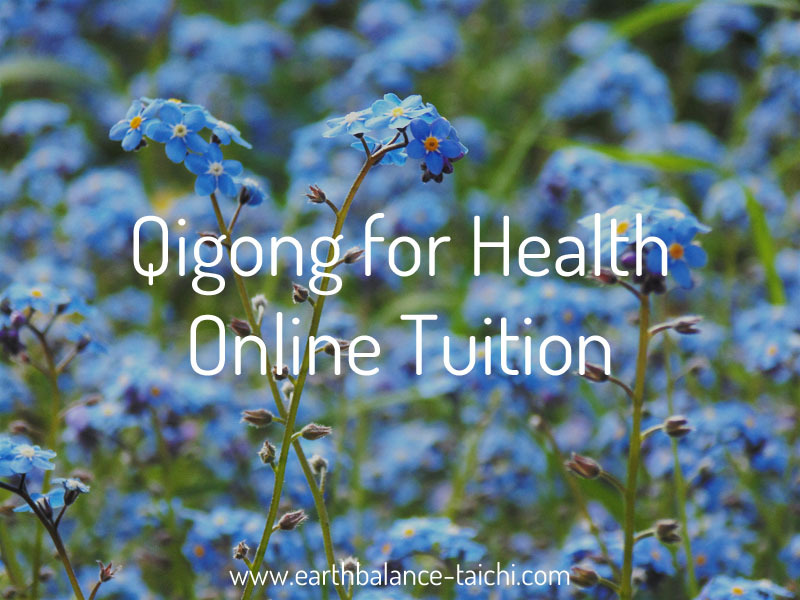 Following the forms of Grand Master Chen Zhenglei she provides live online private tuition using Skype and/or Facebook video call. 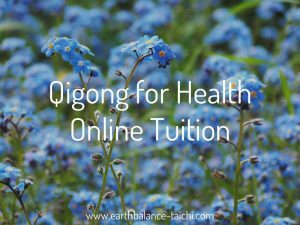 The types of live online lessons offered are Chen Tai Chi for previous students/those with experience and Hibernating Bear Tai Chi.